To continue our Macmillan support from earlier in the day Higham Village Club presents a Drag Cabaret Night with performances from Tiffaney Wells & Adora Dix. 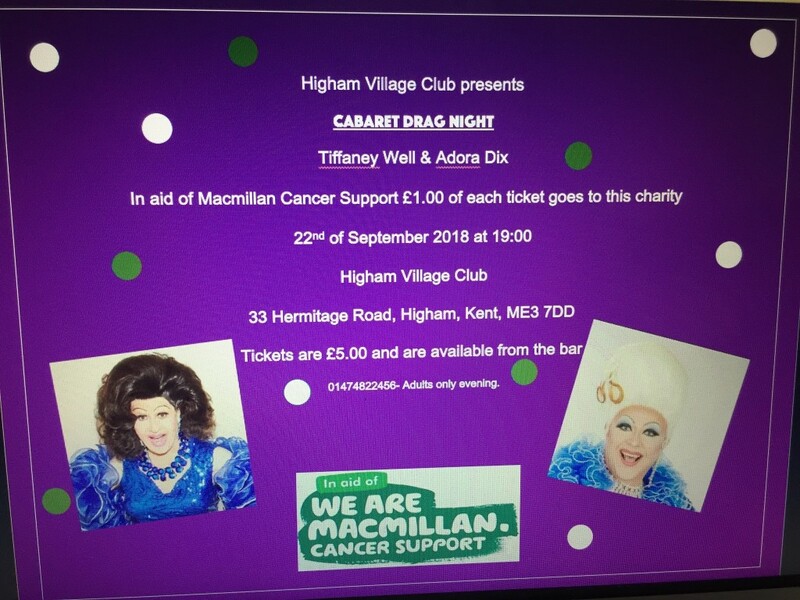 Tickets are now on sale from the Club at £5 each with £1 being donated to Macmillan Cancer Support. Please this will be an adult only evening.